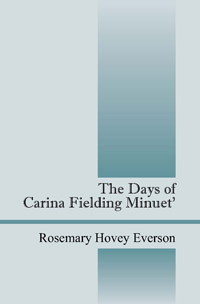 The Days of Carina Fielding Minuet’ is a sequel of Fact or Fool (2009) and Outburst of Love (2010). 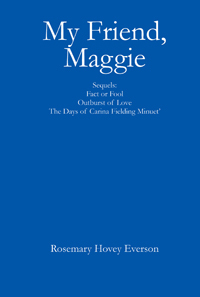 Carina Fielding Minuet’ lived in an orphanage until she decided to become a runaway teenager who lived on the streets of Chicago, Illinois. After her running turned to walking, she noticed a young fellow sitting on a sidewalk curb. Loneliness turned into happiness for her when Trey and Carina became friends. Carina discovered that living on the street and sleeping in boxes wasn’t the way she wanted to live. A journalist, Maggie Benson, found her hiding by a flower shop in despair. Maggie’s persuasion led her to a homeless shelter where she met Latte Cunningham. Carina’s days were finally filled with respect, love and trust. Rosemary Hovey Everson enrolled in courses at Long Ridge Writer’s Group and Institute of Children’s Literature in 2004 at West Redding, Connecticut. She became an author in 2009.